Not having a message bank and a professional message. Congratulations! Your marketing is obviously working and potential customers are calling you. But for whatever reason, you are unable to answer their call. Are you using a message service with a professional sounding message? Potential customers will want to leave a message so that they can talk to you later, but they need to be reassured that they have rung the right number in the first place. Humorous messages are lots of fun, but not very conducive to a good business. Keep your messages short, simple and business like. Apologise for not being able to be contacted and that you will call back quickly. This is an important point of contact. Make sure that your message reaffirms that they have made the right decision to call you and that you will talk to them very soon. Not returning a call a.s.a.p! This is a big one. If you want the sale, you need to be one of the first people a potential customer talks to. This means you need to be calling back anyone who shows any interest as soon as possible. Not the next week or day. Absolutely as soon as possible. Potential customers are not normally going to wait very long before calling someone else. As an experiment, try calling a number of tradesmen or services and see how many of them you have to leave messages for and how soon they call back. I can almost guarantee that a lot of them won’t bother calling you back at all. Don’t be one of them. Return calls as soon as you possibly can. It will make all the difference to your business, and it shows potential customers you value them and their business. Traffic jams happen. Living in the largest and busiest city in Australia means we know this too well! But it makes a VERY bad first impression. This is where google maps becomes handy! Traffic varies during the day (hello school drop off/pick up!) so find out how long it will take to drive there the day before at the same time as your appointment. Then add 15 minutes for parking and walking. This gives you the best chance of getting there on time and making the best impression! It’s better to be early than late! Turning up in overly casual/scruffy/dirty clothes and unclean car. Now, I’m not saying that you have to wear clothes like you would to a job interview, but you want to be presentable and clean. This shows respect for yourself, your profession and the people you want to do business with. It also says a lot about your standard for cleaning. The more you value yourself and your service, the more ‘presentable’ you will want to be and the more you will be able to ask for your work. It will go a long, long way to building trust and respect with your customers. Only talking about yourself and never bothering to find out what they want (and especially what they believe makes a good cleaner!). Sure, a potential customer wants to know about you and what makes you the best service. But what they REALLY want to know is if you are a good match and will meet their expectations. And how can you show that if you have no idea what their expectations are? A good service means different things to different people. To one office it may be a record that you have been in to clean. To another, it may be a clean floor or making sure any cobwebs are gone. For others, it’s how their office smells when they start first thing in the morning. Make sure you find out what a good cleaner means to them by asking thoughtful questions. Listen carefully to any comments they make about your service. It will tell you a lot about what they are after in a cleaner. For example, if they ask if you did the clean last night – take the initiative to leave a communication book and sign it or leave your card each visit. If they comment on the nice, fresh smell of your chemicals, make sure you use a product that will leave a lingering smell for the next day. Making it all about price and not about value. There will always be someone cheaper than you (and yes, they will get customers). But if you only compete on price, you will be on a race to the bottom. Are you really willing to work for almost nothing? The funny thing about price is that lots of people don’t choose the cheapest (and they won’t necessarily choose the most expensive either). They will more often choose the middle price. Cheap = unreliable and bad clean. Expensive = paying for a service that you most likely can get for slightly cheaper! Middle quote = reliable, quality clean. How do you show the value that you bring? See the point above, listen carefully to what they say, ask thoughtful questions to draw out what is important to them, then show how you will meet their needs and concerns. Don’t be afraid to stick to your price if you’re ask to price match. Show customers you value your time and service and they will too! Not telling what their next step is to start getting your service. Don’t leave your customer hanging! Ask for the sale. It could be as simple as ‘when would you like me to start’? Or let them know very clearly what the next steps are. This may be sending them a quote in writing and following up with a phone call two days later. But whatever the next step is for your customer to start your service, make sure it is very, very clear and simple, and that they know exactly what it is. 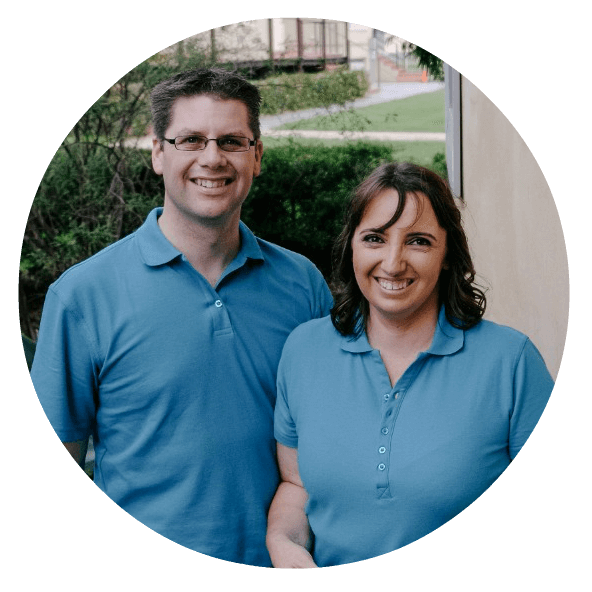 Want to build a cleaning business that is growing AND has regular, loyal customers? 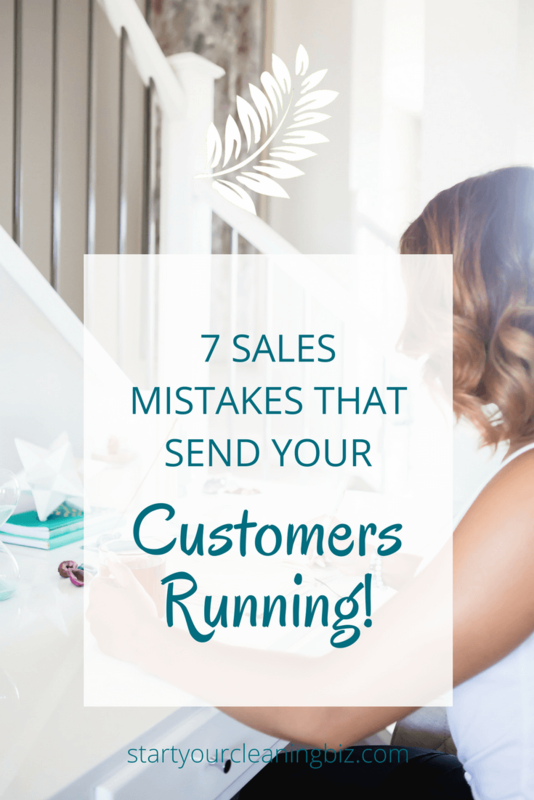 Don’t make any of these 7 sales mistakes! 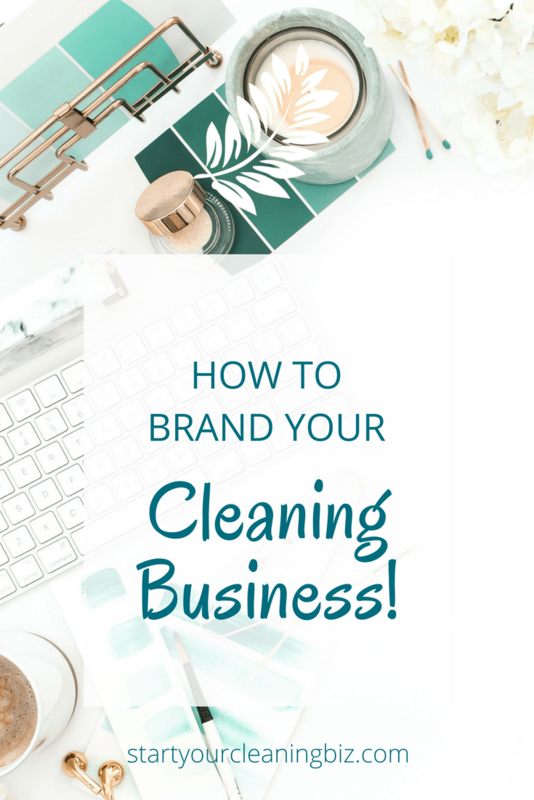 How to Brand your Cleaning Business! They think that branding begins and ends with a logo. They end up looking like every other cleaning business. Even when they think they don't. 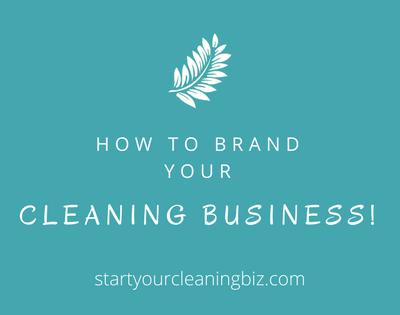 We are going to give you a peek into the process we used to rebrand our cleaning business. If you can use the same steps from the beginning, you will be miles ahead of your competition! We’d been running our cleaning business for over 15 years. Most of our success has come from hard work, good service and word of mouth. No need for websites, fancy flyers or advertising campaigns. And that’s been awesome for us! It’s as big as we want without being overwhelming or working crazy hours. But we recently decided that it was time for a rebrand. The biggest reason is that we want to expand. We have cleaners working for us now and that’s changed our business model. So here are the steps that we took. First, decide what you stand for. Simon Sinek wrote a great book – What is your Why? And has a fabulous TedX session that you can watch here. 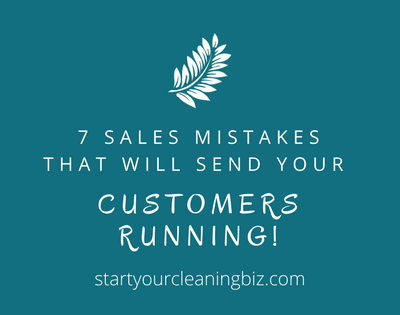 It’s the best 18 minutes you can use for your business! For us, it’s because we’ve always enjoyed providing a hands-on, personalised cleaning service. We aren’t corporate or remote in how we deal with our customers. Instead, we are approachable and responsive. And that’s built a great business for us. We have a great reputation and customers that have been with us for more than 15 years. Our strong customer service focus needed to be reflected in our branding! We wanted to look at who we worked with best. So we developed an Ideal Customer Avatar. That helped us to focus on who our customers are, why they hire us, what’s important to them, and most importantly, how to market to them. Our business is divided into three sections – commercial cleaning, strata cleaning and domestic cleaning (a new part of our business model). We wrote Ideal Customer Avatars for all three – because all of them are VERY different and we wanted to ‘speak’ to them in the best way. Trying to please all of them at once wouldn’t have worked. This meant more than just looking at demographics (age, income, location) and thinking about their lifestyle, values and why they want a cleaner. For domestic customers that could include having more family time or the prestige from being able to afford a cleaner (and not feeling guilty!) How do we communicate the idea that it’s fabulous and totally okay to have a home cleaner? With a commercial client, it may be assuring them that contracting us will make them look good in the eyes of their manager. How can our marketing material reassure them that we will go beyond their expectations? Then we blended the two together. We developed all of our copy for our customers. We used their words, feelings, aspirations. We ‘spoke’ to them in our flyers and website. It was all made for them, not us. And that’s one of the things that sets us apart – our business is about our customers. We take great pride in giving them a superior service that more than meets their needs. We can pivot a lot easier than larger, less personalised services. This helped us to develop our website. It had to speak directly to our customers and assure them on an emotional and logical level that we are the right service for them. It takes them through the steps they need to take to access our services. We make it easy for them to choose us. And that applies to office managers, strata committee members, and domestic cleaning customers. We worked with a graphic designer. I admit that despite being a do-it-yourself type, I am graphic design challenged! So we made the sensible decision to reach out for help with the graphics side of our branding. One of the first things we did was create a secret Pinterest board and started pinning images that represented our ideal customer, colours that we thought would appeal to them and match our ‘why’ and quotes that reflected our ideal customer’s life and our business ethics. We pinned business cards and flyers that we liked the look of. And lastly, we gave her a copy of our Ideal Customer Avatars. This gave our graphic designer a well-rounded insight into what exactly we were looking for. From there she developed logo ideas, advised on colours across the two focus brands (domestic and commercial), suggested fonts to use and collated images that reflected our brand ideals. She created this wonderful branding board to use, making sure that all of our marketing material is consistent. This builds trust and makes potential customers more likely to talk to us. But we understand that not everyone is able to work with a graphic designer! So here are some ideas and places to go to find a complete branding kit at a fraction of the cost. Yay! A potential customer is asking for a quote! And that’s when the fear starts. Will I quote too much and lose the job? Quote too little and end up working for almost nothing? We completely understand because we’ve been there too. 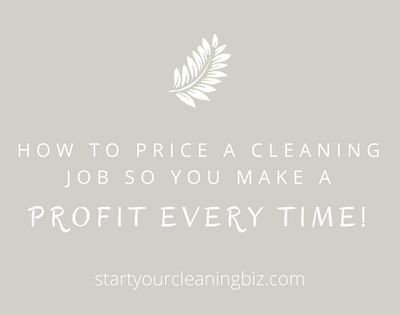 It’s one of the biggest and most jealously guarded secrets in the cleaning world – how to quote so that you actually make money but still win the job! We are going to share exactly how to quote using two different methods. But first, an important tip…. Never quote without having a look around! This goes for houses, offices, windows, roofs, any type of cleaning. Ever. It’s a rookie mistake to quote over the phone. You know the house that needs a little dusting? It has a HUGE knick-knack display. There’s an hour alone! The windows that need cleaning? All of them have screens that need to be carefully taken off and put back on. Oh, and a few of them have bars. So first of all, make sure you go and have a look around before you quote! This method is the best for houses, carpets and small offices. Before you start to think about quoting, you need to work out how much per hour you would like to make. This varies from region to region. In a large city, you can often charge more per hour than you can in a country area. So take into consideration where you live and what your competition may be charging around you – but don’t get too hung up about it! 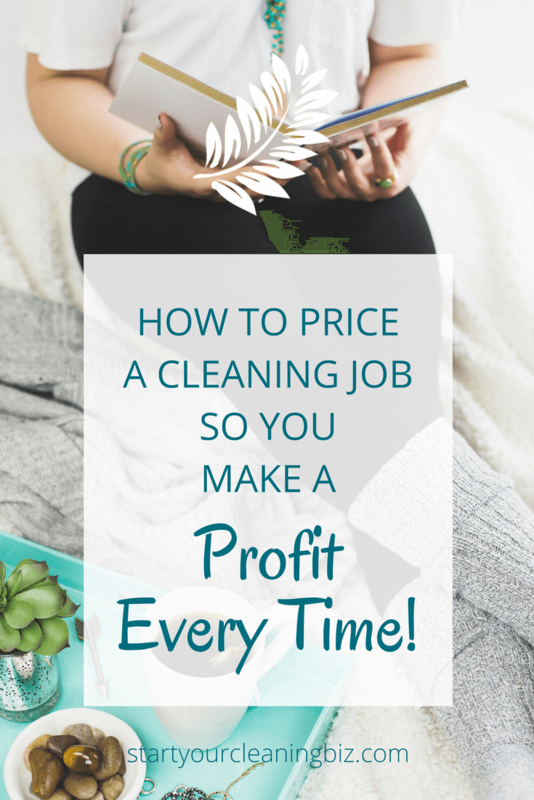 There will always be cheaper cleaners, but they are also the ones that don’t last long because they cut corners! Also think about the type of customers you are seeking. If you are catering to high end, premium customers, you may be able to charge more. If you are promoting to budget customers, you may need to lower your hourly rate. Personally, we find that good customers are willing to pay a premium for quality, reliable cleaners that they can trust! It is, however, important to establish a minimum rate per hour that you would never want to go below. This is your ‘take home’ money. Once you’ve established an hourly rate to charge it’s time to start quoting. When you first talk to a potential customer, ask LOTS of questions! Make sure you find out exactly what they want to have done. Look for tasks that may take longer to complete and ensure you allow adequate time to complete them. Then start to work out how long it would take you to clean. You may allocate time to each room (say 15 minutes to a bedroom and half and hour to a bathroom) or as you become more experienced, you can simply work it out as a whole. For us, our minimum time is one hour for a job, even if it only takes half an hour to do. And always remember to round up to the hour. So, if you think the job will take 1½ hours, round that to 2 hours. Consider, too, how often you’re going to be cleaning and how dirty the premises may become between cleans. The more often you clean, the less time it will take. Once you have worked out how many hours it will take, times it by your cleaning rates. Don’t worry too much about the initial clean. It often takes extra time at the beginning to get everything up to standard. Of course, if there is lots of additional work to be done the first time, you may charge extra as a one off. Now this quoting method is best suited to larger commercial premises and window cleaning. Sometimes it can be very difficult to simply look at a large office complex and work out how long it will take to clean. So a clever cookie came up with a great idea! 520 square metres times by 50cents = $260. There is a kitchen, 5 toilets and a large meeting room. Add in $20 for extra time, so $280 per week for two cleans (or $280 times by 52, then divided by 12 for a monthly rate of $1,213). If the manager doesn’t know the size of the premises, an alternative is to add up the ceiling tiles. Generally ceiling tiles are 1200mm x 600mm. A similar method works for cleaning windows. Count up each pane of glass in the home, times it by a set amount then double it. Now these are just examples – you may be able to charge more in the region you live in or less. It all depends on what your market is prepared to pay. So it is sensible to get an idea what others are charging. Time to put it in writing! Sometimes it’s acceptable to write in on the back of a business card – and this is great for one off cleans like windows or solar panels, or when your potential customer wants a quick answer. Other times it is much better to put it in a more formal approach like an email or letter that outlines exactly what they are getting for their money and how much each clean. This minimizes confusion and establishes the foundation for a rewarding working relationship! How do you quote cleaning jobs? Let us know in the comments below! Not long ago our children received postcards from their young friends vacationing overseas. Scrawled delightfully across the back, the girls talked about their extended holiday with family and the sights that they were enjoying. A young, glamorous couple we know spend six months or more in China and South East Asia, then come back to Australia for a while before returning overseas again. All by their own timetable and choice and without being tied down in anyway. Another couple nearing retirement live permanently in South America. They are having the time of their lives immersing themselves in the local culture and making lifelong friends. Two friends teamed up and worked together earning far more than they had in the past as office workers. Both girls successfully built up their business part-time then sold it to travel the world with their partners. Sounds like the kind of life we would all love? Thinking they must have a prestigious, profitable online business that they run? Or perhaps they have fantastic investments that allow them to earn an income? The one thing all of these people have in common is they own a cleaning business in Australia! And each of them built it from scratch and now support their lifestyle of choice. We know it’s possible because we have enjoyed the same sort of freedom over the years with our own cleaning business. We travelled around Europe and live in the most expensive city in Australia. 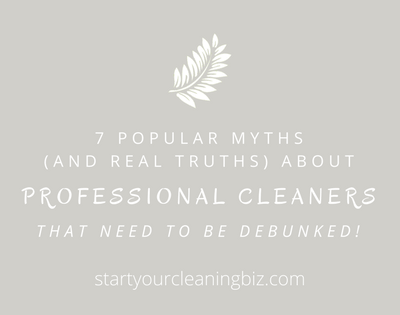 And freedom to travel isn’t the only benefit of running a cleaning business! Scale your business up, or down! The fabulous thing about a cleaning business is that it can be scaled as big or small as you want it to be. There is plenty of work to go around for people who care about what they do and provide great customer service. Don’t feel like having a large team of employees? Don’t have them! Keep it small and profitable. Enjoy working minimal hours each week and still make more than you used to at your day job. Want to support yourself overseas? Don’t feel like cleaning anymore? Grow your business with a team until it can be managed via skype, email and the internet. It is all completely doable with a cleaning business. You know all of those days when you really just wanted to be left alone to get on with the job? And small talk felt like the biggest effort ever? Not a problem when you have a cleaning business. You can put your head down and get on with the job, no questions asked. It’s even better when you work out of hours in even more profitable offices. So don’t worry about having to spend hours talking to people, because you won’t. But that doesn’t mean that you have to be introverted to succeed, because of the next benefit! You often become part of the workplace or family. Nathan has enjoyed the best conversations over the years with his commercial clients. And that’s not a surprise – most of them have been with us for over 10 years! So they’ve followed us through the birth of 4 children, our holidays and all those football grand finals! We’ve been part of expansions, ownership changes, seen families expand, commiserated over the loss of colleagues and celebrated wins with them. Of course, one of the things we are known for is our professionalism, so we don’t go to our customers to gossip or spend excessive amounts of time chatting. But we know, like and trust our customers. And don’t even start me on the free coffees that window cleaners get! It’s not as bad as some people think. We had a blocked sewerage pipe at our home recently. So we called the local plumber to come and fix it. Being the naturally curious people we are, both of us went out to see what had happened. And there was our friendly, helpful plumber up to his elbows in, you guessed it, sewerage. Really, really smelly sewerage. These guys deserve a medal! I can never recall a time in all of the 15+ years we’ve been cleaning that we’ve had to deal with something even remotely as revolting as our brave plumbers did. Not interested in the traditional house cleaning? Try window cleaning, carpet cleaning, commercial cleaning, gutter cleaning, solar panel cleaning or the many other types of cleaning contracts available. Good customers will go out of their way to keep you. One of the things that stresses out business owners and office managers is finding good cleaners. Just stop and think about that for a moment. A good cleaner keeps everything looking nice, the bathrooms hygienic and relatively germ free and the desks clean. This translates into a good impression on customers, healthier employees, less sick days and better productivity. Sounds like a good thing, right? So it’s no wonder businesses will go out of their way to keep a good, reliable cleaner. One regular contract we had actually approached us and said they wanted to pay us more! You read that right – they offered us a pay rise! Others insist that only Nathan cleans their office, no one else. Ok, so that has a downside too, but it means they very much appreciate the quality of work he does. And they’re not about to replace us with a different cleaning company any time soon. All this and we haven’t even mentioned all the end of year gifts that we get. It’s just as well for the next benefit! How many jobs do you get paid to exercise? Dusting, mopping, vacuuming, window cleaning – it is a fabulous workout! A friend of ours is one of the fittest people we know. On top of regularly cleaning offices and houses, she’s out riding bikes and jogging. She doesn’t have to clean, they have employees that could be doing it instead, but she loves the workout. 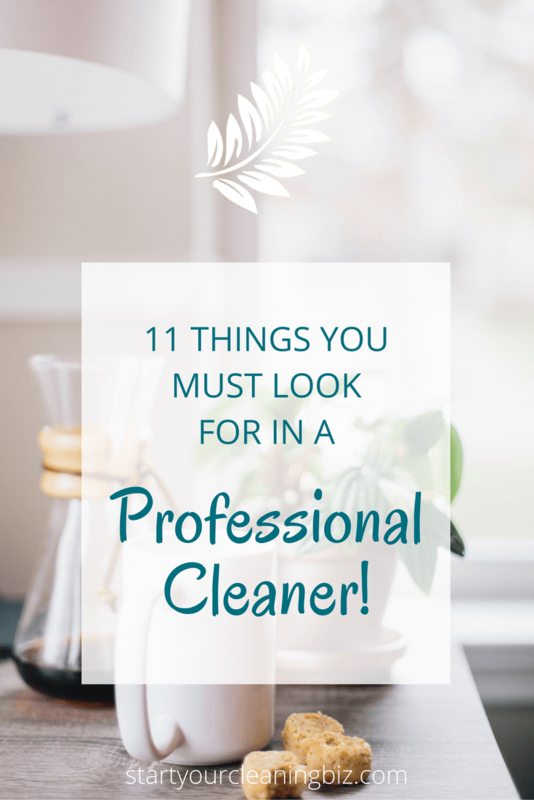 As long as you are aware of the safe way to use vacuum cleaners, mops and cleaning chemicals, you can expect to have a fit and healthy working experience. 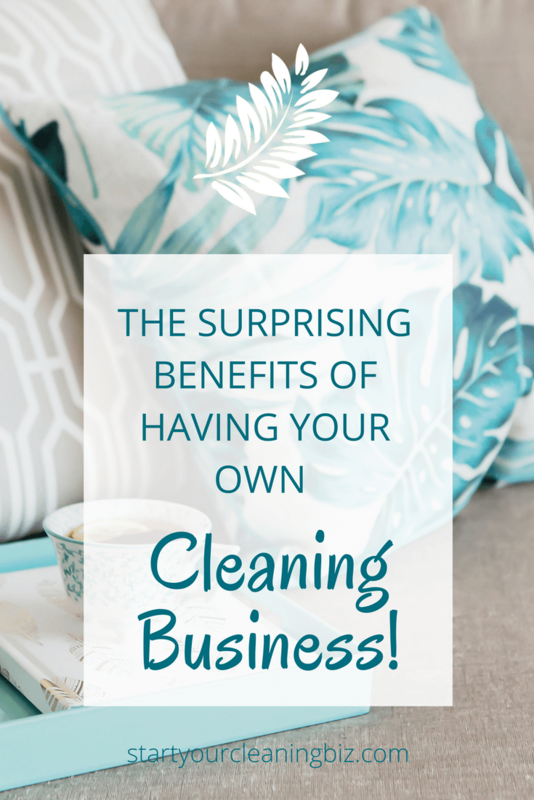 There are just a few of the surprising benefits of owning your own cleaning business. There are many more that we could talk about! 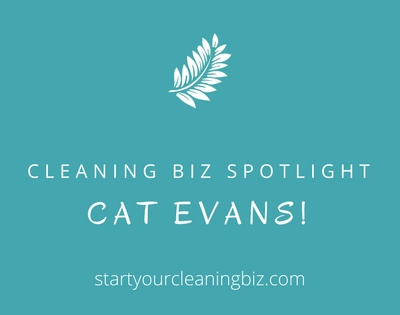 So if starting your own cleaning business is something that you are thinking about, go for it! We’ve never regretted it. Finding the right professional cleaner can make your life so much easier and pleasant. I’ve heard of friends almost crying when they’ve lost a good, trusted cleaner. So good, in fact, they struggle to imagine life without them! 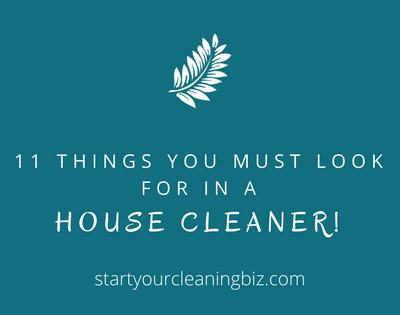 So, improve your chances of finding the right cleaner by following these suggestions! This is a big one. Being on time and turning up. The last thing you want to do is be waiting around for a late cleaner who may or may not turn up. Of course, the best predictor of future behaviour is past behaviour, so that leads us to…. It’s not wrong to ask a cleaner if you can contact references. If they have been in business for a long time or come from an agency, they should have existing customers that are happy to provide a reference. However, not all cleaning businesses have been running for 5 or more years. If you can take a chance on a new cleaning business, that’s fantastic. We all have to start somewhere, right? Bu we understand that most customers prefer to deal with a cleaner that has come recommended and has a good history of cleaning behind them. These are the cleaners that will have no hesitations in giving you references to contact. To help, we have a handy list of questions to ask that you can download here. Checking references is also a great way to find out if they have similar…. Ask references what their standard of cleaning is like. Will they do additional cleaning as they go if it’s needed? Wipe finger marks off the wall if they see them? Do they use different cleaning cloths in each room? Know not to use the same cloth in the bathroom and kitchen? Understand which cleaning sprays to use on different surfaces? This can be a biggy. Will they be sharing with other homes or will they use your equipment? Are they willing to use eco-friendly cleaning supplies or will they use chemicals? Is their equipment new and well looked after or is it held together with duct tape and grimy? Things happen. It’s called life! If an emergency comes up at the last moment, will you be up for cancellation fees? And if so, how much? It’s much better to clarify cancellation fees before you take on a cleaner than end up with a surprise bill! There are two different types of cleaning agreements. One is an hourly rate and this is the more common. For example, your cleaner agrees to spend 2-3 hours cleaning your home each fortnight. The advantages of this is if your cleaner takes less than the set time to clean your home, they may be able to do some extra odd jobs to finish off the remaining time. You know that ceiling fan filter in the bathroom? This is your opportunity to get it cleaned. If they are ok with a ladder of course! The other cleaner agreement is a quote based one. The cleaner agrees to undertake a specific set of tasks each time. Some weeks they may finish the clean in less time, others they may spend more time. 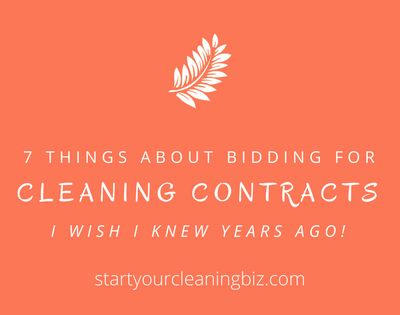 There is less flexibility in this type of contract and you may be asked to pay more for additional tasks. Are you dealing with an agency or direct with the business owner? This can make a difference. If the owner of the business is also the cleaner, they have a huge vested interest in doing a good job. Their livelihood is entirely dependent on doing a good job, keeping customers and gaining referrals. And if there are any problems you can communicate directly with them to get it resolved. If you’re dealing with an agency there is a chance that the cleaners aren’t quite as committed to the job. So it may be harder to get a higher standard of work, or you have to talk to a third party to get issues resolved. Of course, the advantage of an agency is that if your usual cleaner can’t come it’s much more likely that you will get a replacement! So there are advantages and disadvantages to both. Are they a registered business with an ABN? If a cleaner can’t take themselves seriously as a business and register to pay tax (and all the other commitments that come along with it) how can you trust them to treat you the right way as a customer? The other worry is that if there are problems with you and your cleaner, your ability to follow it up with the Office of Fair Trading (or whatever your local government department is called that deals with consumer complaints) is obviously hampered. It’s a lot harder to resolve an issue with someone who doesn’t ‘exist’ as a business! It might be cheaper initially to pay cash in hand, but it may cost you more in the long run. Always ask for an invoice or receipt or pay by direct debit. That way there is a legal trail of the relationship between you and your cleaner. How much would it cost to replace a window? Shower screen? That expensive vase that Aunty Edith gave you? If your cleaner does happen to break something – and accidents do happen, even to the best cleaners – you will want to know that they have insurance to cover it. This may take different forms depending on where you are. In some countries it’s called a Bond, in others it’s Public Liability Insurance. But always ask for evidence of some kind of insurance! Find out what their policy is on handling expensive items in your home. Would they prefer that they are put away somewhere when they are cleaning so that they aren’t inadvertently damaged (a good sign) or will they simply clean around them? Or will they clean everything they see, taking the risk of breaking something irreplaceable (not a good sign)? If your new cleaner doesn’t ask about irreplaceable items, offer the information yourself or simply secure them away somewhere. This isn’t a guarantee that the cleaner you are hiring isn’t a criminal of some sort. But honest cleaners won’t hesitate to undergo a police check or provide evidence of a recent one they’ve had (within the last 12 months is a good indication). It’s a signal that they take their business very seriously and provides some security for you. Especially if you are allowing them to come into your home while you are out working or away on holiday! But lastly, a lot of the decision of hiring a cleaner comes down to…. In the end, if they have passed all the other criteria, do you like them? Do you feel comfortable communicating with them? If you don’t – and I’ve heard some horror stories of bossy, unorganised and demanding cleaners – it’s best to politely decline their service and look for another cleaner. You don’t want to be stuck with a cleaner that you simply don’t get along with. If you follow the steps above, you will have a much greater chance of finding a fabulous cleaner that will make your life so much easier!